<controlbar>0</controlbar>: This will always hide the navigation bar. <controlbar>2</controlbar>: This will automatically hide the navigation bar and if mouse hovers on the bar, it displays again. Save the setting.xml and open index.html again to enjoy. 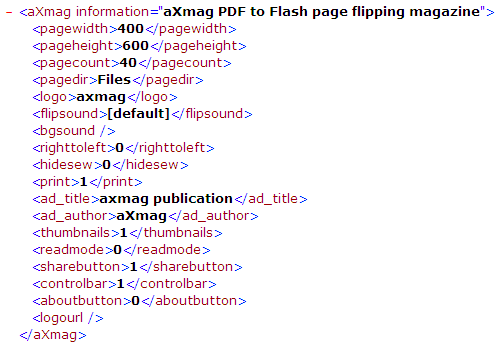 Copyright © 2005 ~ 2012 aXmag. All rights reserved.